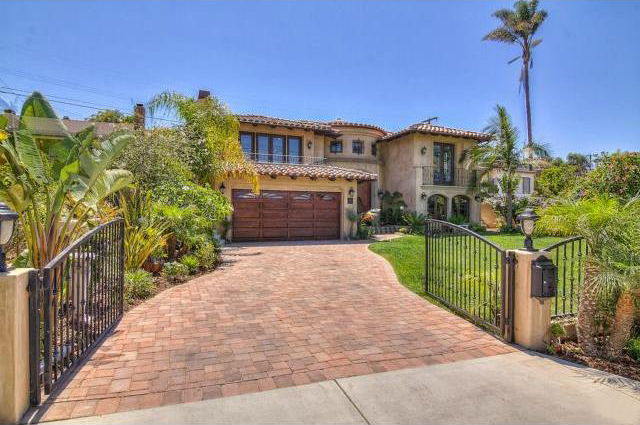 Welcome home to the very best in coastal luxury in this charming Hollywood Riviera location. From the moment you enter you’re surrounded by luxurious touches from the beautiful double doors and formal entry to the custom light fixtures. This gorgeous family home in the Hollywood Riviera was designed by local architect Louie Tomaro, one of the South Bay’s premier architect for luxury homes. With spectacular curb appeal, you are greeted by a gated entry, and a massive front yard. Upon entry, the double doors leads to a beautiful foyer designed to welcome visitors with a sense of casual elegance, bathed in natural light. The downstairs suite with private bath is perfect for guests or to use as a somewhat detached office. Upstairs features 4 additional bedrooms each with it’s own private bathroom. The master bedroom suite includes a walk-in closet, stunning master bath, and large French doors that offer direct access to the backyard. The gourmet kitchen includes stainless steel Kitchen Aid and Viking appliances, cherry wood cabinetry and opens to the dining room and family room for a casual, yet elegant feel. The balcony off the family room lets you take in the city light views and cool ocean breezes. Kolbe & Kolbe windows and doors, and cherry hardwood floors lend an elegant touch throughout. Sitting on a large lot, this home also features a spacious and private side patio as well as a very sunny backyard and patio area. The huge fenced-in front yard with remote control-ready arched gates give this residence an estate-like feel. 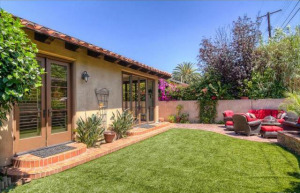 Enjoy the close proximity to the beach, Riviera Village, Riviera Elementary and the Palos Verdes walking trail. Contact listing agent and Redondo Beach luxury home specialist, Keith Kyle at 310-251-2344 or Keith@KeithKyleHomes.com for more information and to arrange a private showing.